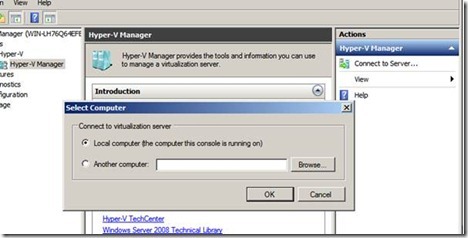 As Veeam moves forward and starts to become focused two virtualization platforms, I thought to myself now is the time to work out how I’m going to introduce Microsoft Hyper-V in my lab environment. 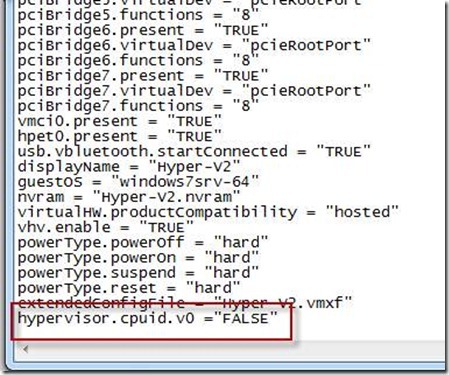 I wanted to know if it could be virtualized running inside a VMware virtual machine of some sorts. Veeam has been very successful in presenting its solutions through the use of portable labs running for example on laptops nested under VMware Workstation. 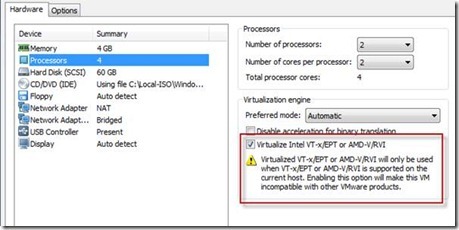 We would often have a nested ESX server, vCenter, DC and Veeam apps running on a single laptop and I wanted to know if Hyper-V could be thrown into the mix. By the time I’d gotten a chance to give it a whirl, ESXi had gone GA. What I found from the blogs posted above was there were some great pointers, but when I followed either post’s instructions, all I got was a blank Black Screen like a few other people were reporting. No matter what additional information I gave, it just would not work. Undeterred, I decided to try something different. I installed VMware Workstation 8 instead of ESXi 5 and managed to get a nested Hyper-VM working. At this point, I knew my hardware was going to be compatible with nesting Hyper-V. 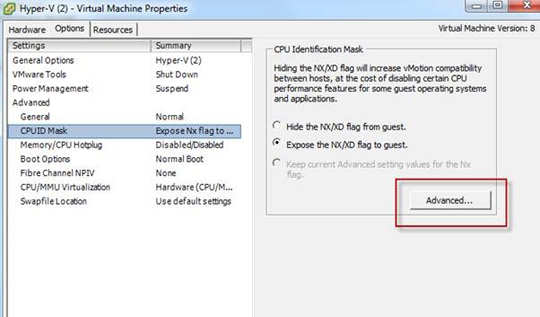 The blog posts above stated the key to making it work is a feature found in your CPU/BIOS called Intel EPT. Now, I read that if you have Nehalem/Core i7, you should have Intel EPT; the blog posts suggested that it should be enabled through the BIOS. However, I didn’t find this option in either of my system BIOS. 2. 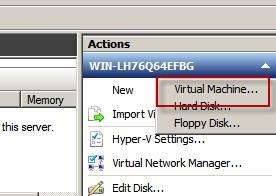 Give it 4 GB RAM and 2 x vCPUs with about 80-100 GB disk space, depending upon how many VMs you wanted nested underneath Hyper-V.
3. 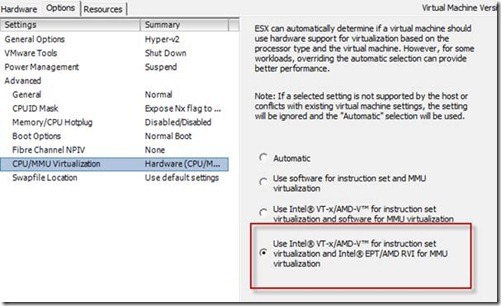 The instructions lead you to believe that you should pick a VMware ESX option as the guest OS… STOP! DON’T! Select Windows 2008 R2 x64. 5. 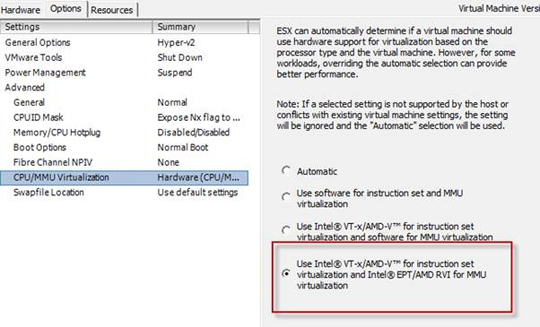 Under the settings of the VM > CPU, make sure you have the option to pass-through the Intel VT-x/EPT feature. 6. 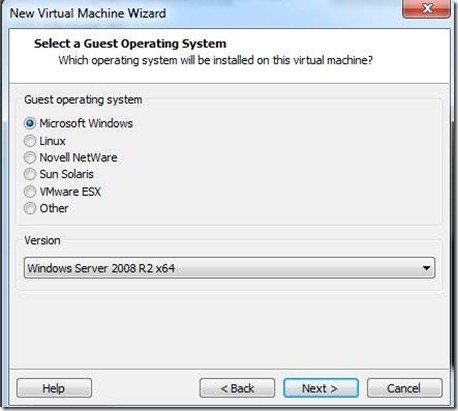 Make sure you have set the VM to boot from Windows 2008 R2 x64 media ISO. 8. Now Boot and Install Windows 2008 R2 x64. 9. Once finished, open up Server Manager and click “Add Role”. 10. 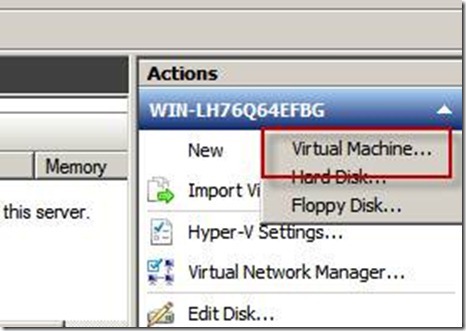 Select and install the Hyper-V option. At this point, you will know if your system is working correctly and passing the Intel EPT feature, because if it doesn’t, you won’t be able to go past this point. 11. You’ll also have to select the network adapter used for the virtual network. 12. Now install Hyper-V, which will need a reboot. 13. 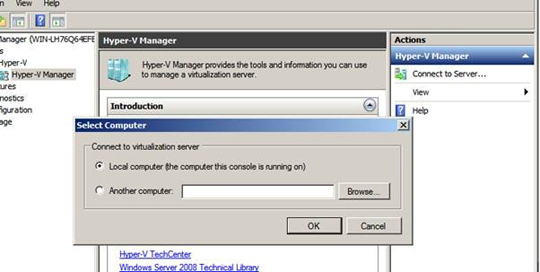 After it is completed, open Server Manager drill down to Hyper-V and connect to the local server. 14. Now create and install a virtual machine. 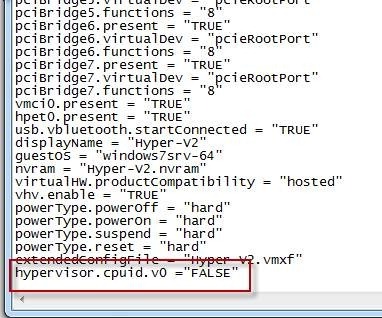 With both my server and laptop I had no way of telling if my systems had Intel EPT it was a case of seeing if VMware passed Intel EPT without complaining and if Hyper-V spotted it. The give a way for me was when I’d tried VMware Workstation first and it worked straight off. I’ve read a million and 1 things about this subject, but my gut feeling is if you look for Nehalem or Core i7 and a motherboard that supports Intel VT. I think that is a safe bet. I read you need Intel VT –x2 which I don’t have (I don’t think) so that was misleading…If I can narrow the field of information I will update this post. Remember nesting a hypervisor means it’s going to run very, very slow…however installing the nested hypervisor in a datastore that is on SSD disks helps big time. 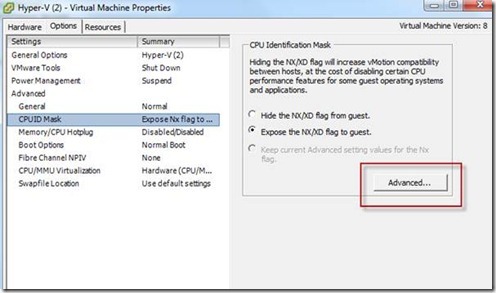 Запись опубликована в рубрике *, *Windows, Hyper-V. Добавьте в закладки постоянную ссылку.